With the Big Game just two days away, fans everywhere are scrambling to prepare for game day. Fruit of the Loom has stepped in to provide fans with a comfy, cheaper apparel alternative. Pro football jerseys start at $99.99, while Fruit of the Loom's short sleeve crew tee starts at $6.49. 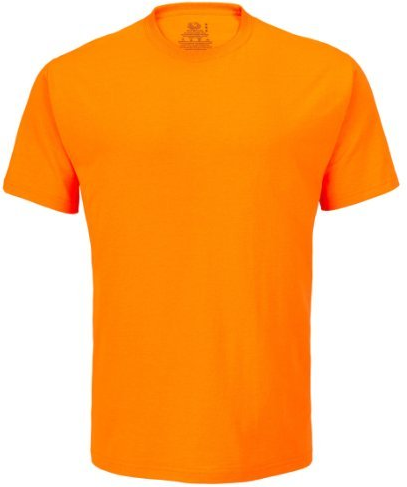 The folks at Fruit of the Loom were kind enough to send me an orange tee to sample and I have been impressed by the comfortable feel and slimming design. It's a clean tee that can stand alone or be layered, well worth the $7. The crew tee is available in sixteen different colors, including shades of orange and blue.